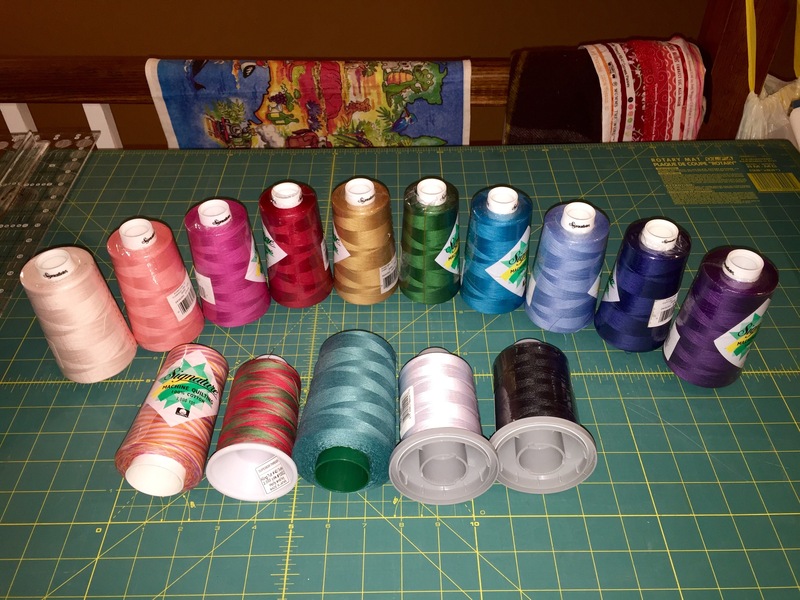 I have said many times before that collecting fabric is just as much of a hobby as the actual sewing. If the past weekend is any indication (between visiting San Diego and online ordering) than this is now a proven fact. I am so excited about some of the new goodies! Now I just have to make room! The elephants and horns are for a quilt for Maddie using the All About Me pattern. The mask thingies are for her to make something for her Spanish teacher for Christmas. The cupcakes, purple dots and hearts are just because they are adorable. 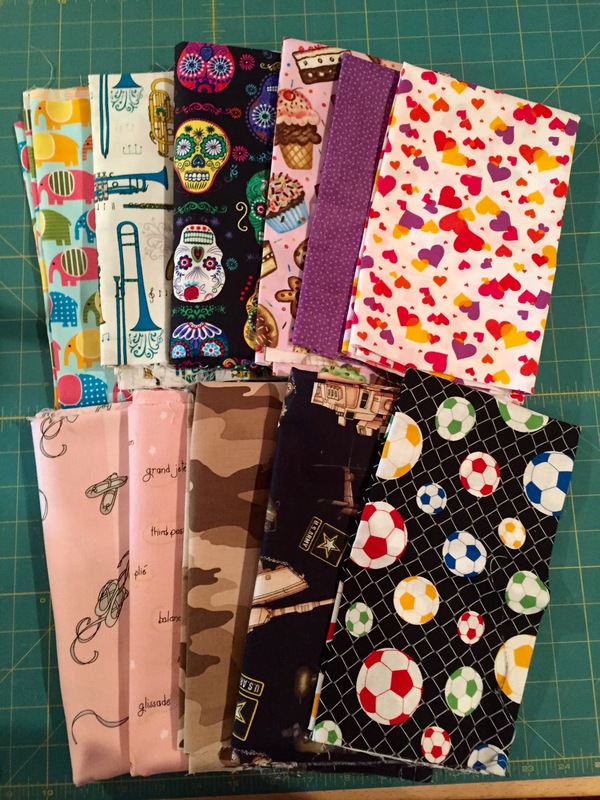 Both ballet and soccer are for a custom order from my last show and the army fabric is because Rob liked it. He is obsessed with all team military. I love Halloween stripes, especially for tote bags, so I grabbed some online on sale for next year. I also got some Holiday Hoot owl Christmas fabric. I had this last year and it was a hit. The roosters are just because. Who doesn’t like a rooster in the kitchen? I really love polka dots on the front of a quilt or on the back. 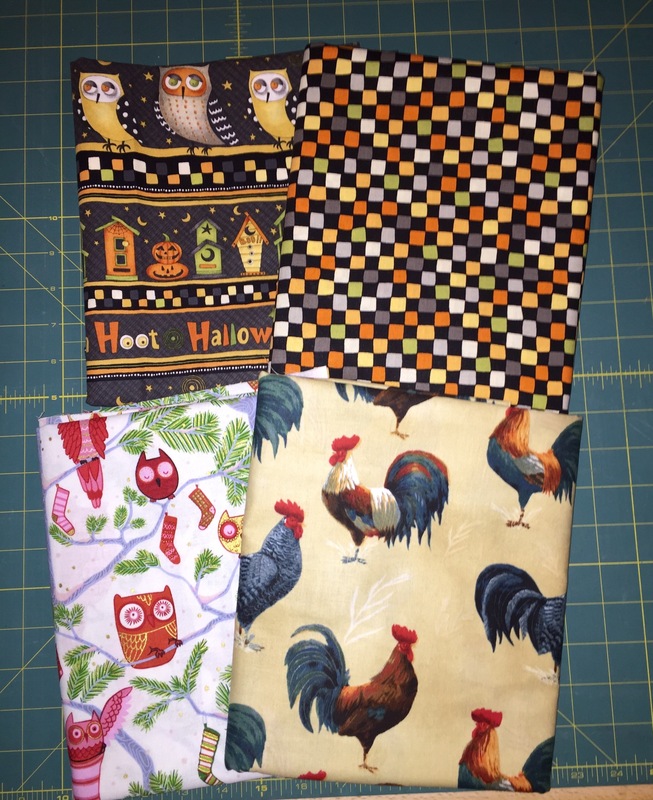 Three yards each of these should get me two baby quilts from each! 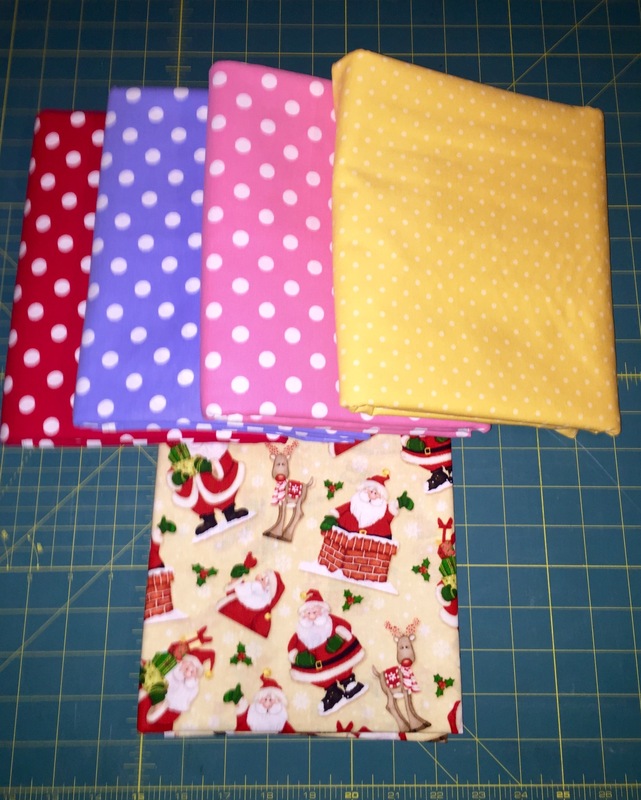 And the Santas from the Believe line are for a custom order tree skirt that I hope to make this weekend. I got some Maywood Shadows blenders too. 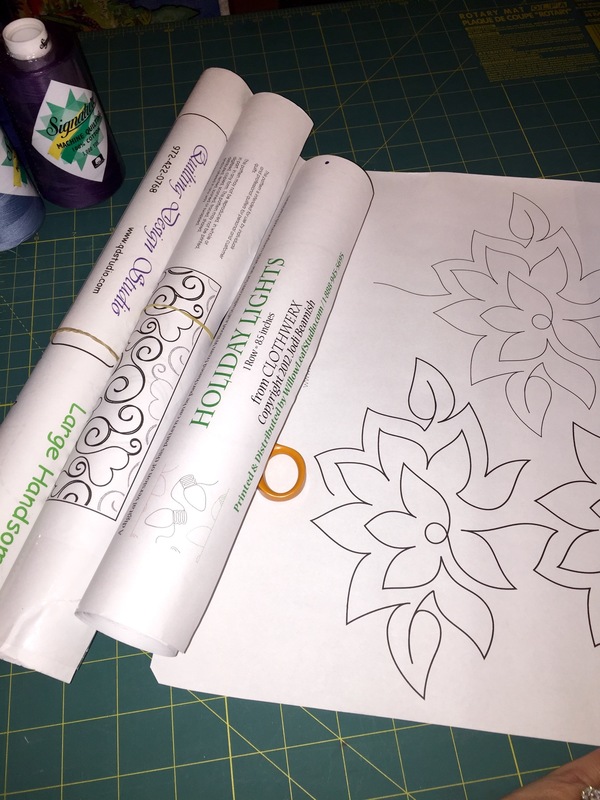 These will be awesome for the borders on the All About Me quilts I aspire to make for my family before Christmas. What a pretty rainbow! 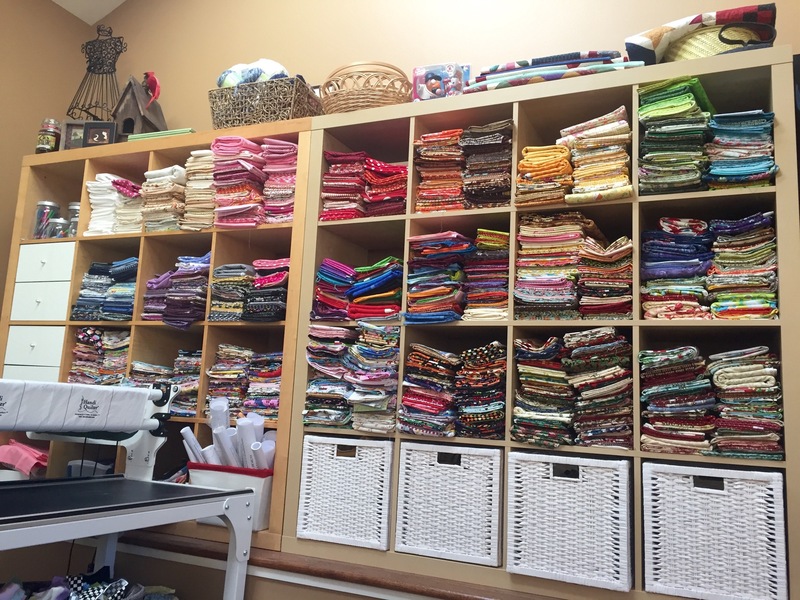 My sewing room is bursting at the seams – and this photo doesn’t even show two closets that are stuffed or my scrap storage. 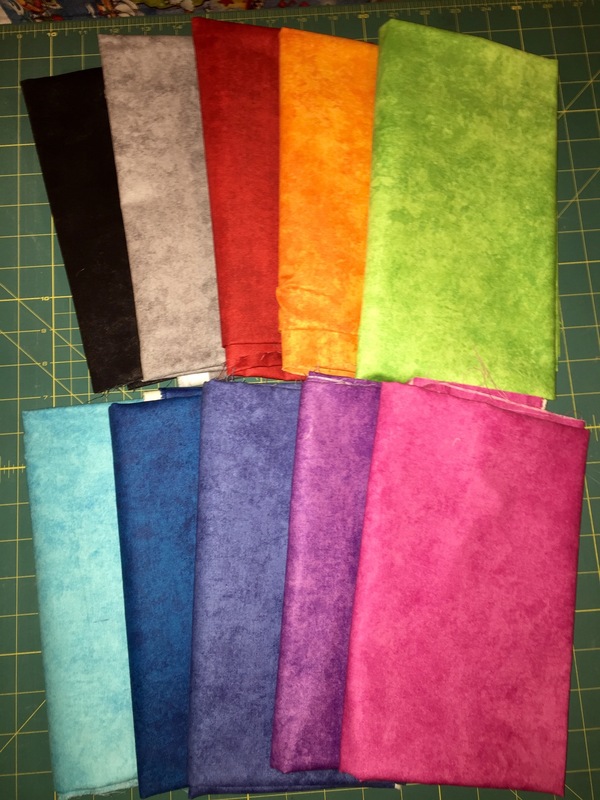 I am a fabric-aholic! (Well, it’s not all bad. I used to collect wine! LOL) No more shopping for me until the holidays. I swear. Well, except for the order I placed yesterday. But that is it! I’m done!